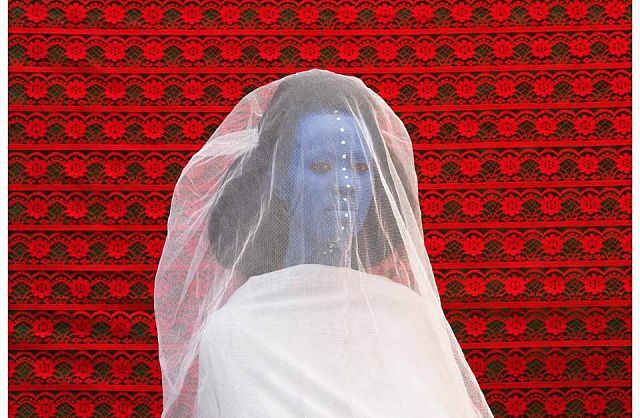 New York (TADIAS) — Ethiopian artist Aïda Muluneh’s first solo exhibition at David Krut Projects gallery in New York City opens this week. “I am not seeking answers but asking provocative questions about the life that we live – as people, as nations, as beings,” says Aïda. Photographer and artist Aïda Muluneh resides in Addis Ababa, Ethiopia and is a recipient of the 2007 European Union Prize at Rencontres Africaines de la Photographie in Bamako, Mali as well as the 2010 CRAF International Award of Photography. Her photography work is part of the permanent collection at the Smithsonian National Museum of African Art in Washington D.C. and the Sindika Dokolo Foundation in Berlin. Aïda founded the first international photography festival in Ethiopia, Addis Foto Fest, and currently promotes photography projects through her organization DESTA (Developing & Educating Society Through Art). Aïda Muluneh obtained a Bachelor’s degree in film, radio & television from Howard University in Washington, D.C. in 2000.